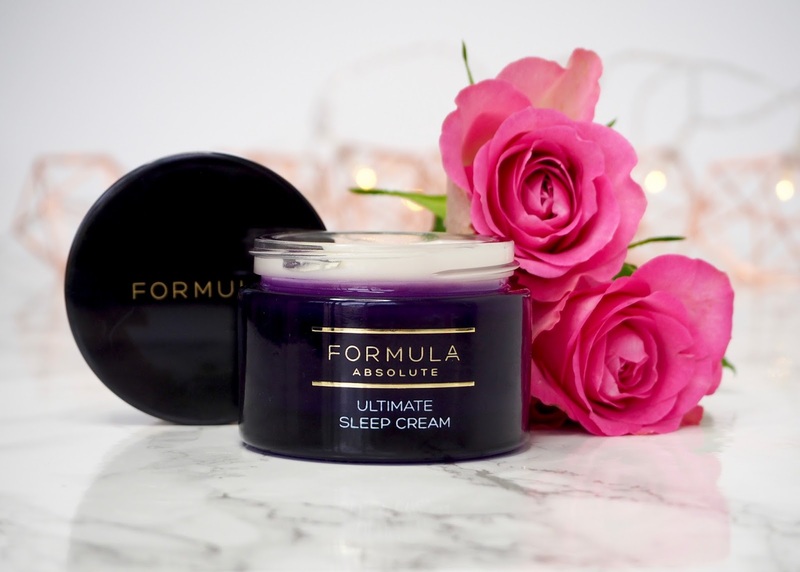 The sleep cream is the newest addition to Marks and Spencer's own brand Formula Absolute skincare line. 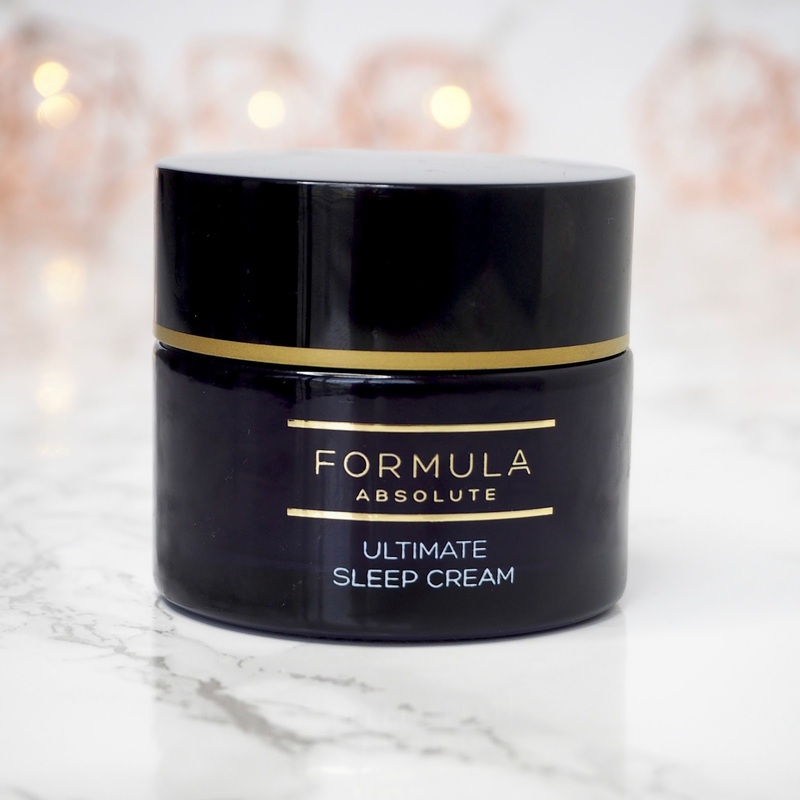 It contains hyaluronic acid, peptides, vitamin E and a multitude of oils to help regenerate, hydrate and brighten the skin whilst you sleep. 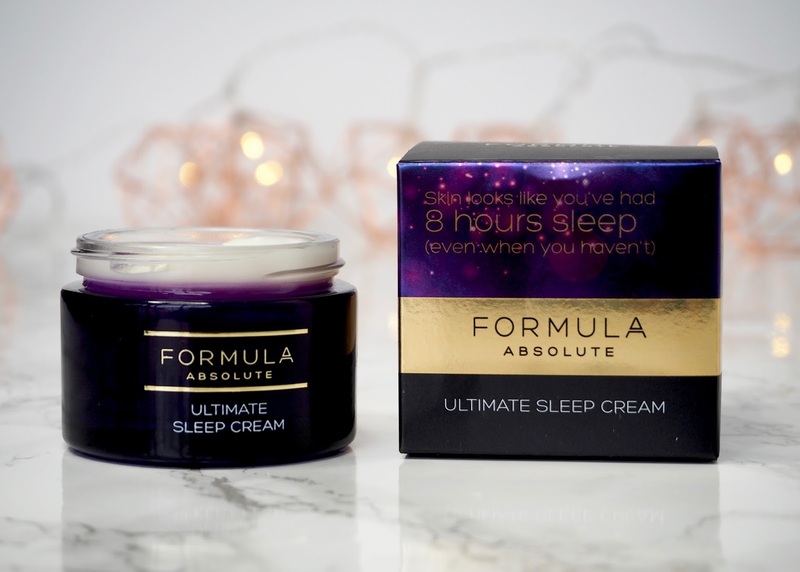 Trying this for the first time I noticed how rich the formula was, and whilst not marketed as a 'sleeping mask' it reminded me of a similar texture to that sort of product. 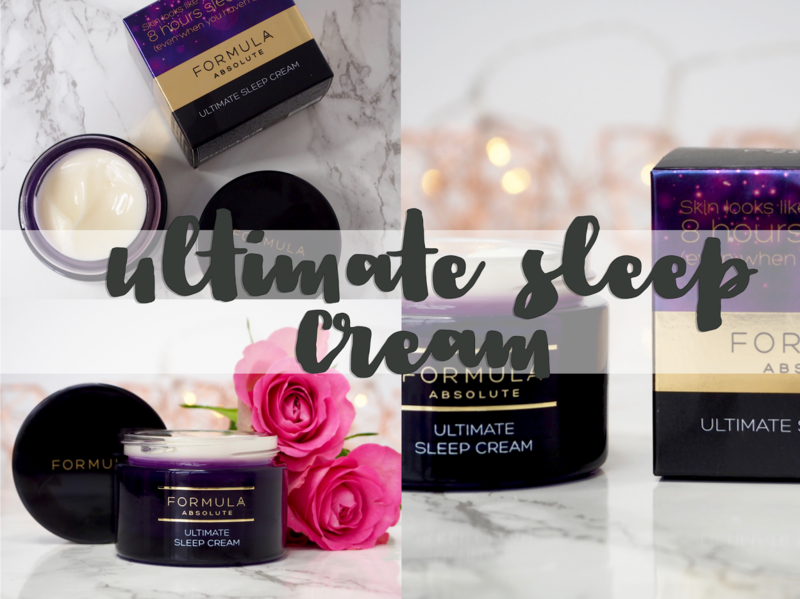 It feels lovely and comforting on the skin on application, and unless I'm applying too much, it doesn't completely absorb either - it kind of feels like there's a layer of rich, soothing cream cocooning my face, but not so much so that I'm going to ruin my pillowcase! On waking in the morning after that first use I had a look in the mirror and noticed that my under eye area in particular looked much better than usual, and generally my whole face looked a little less red and blotchy. 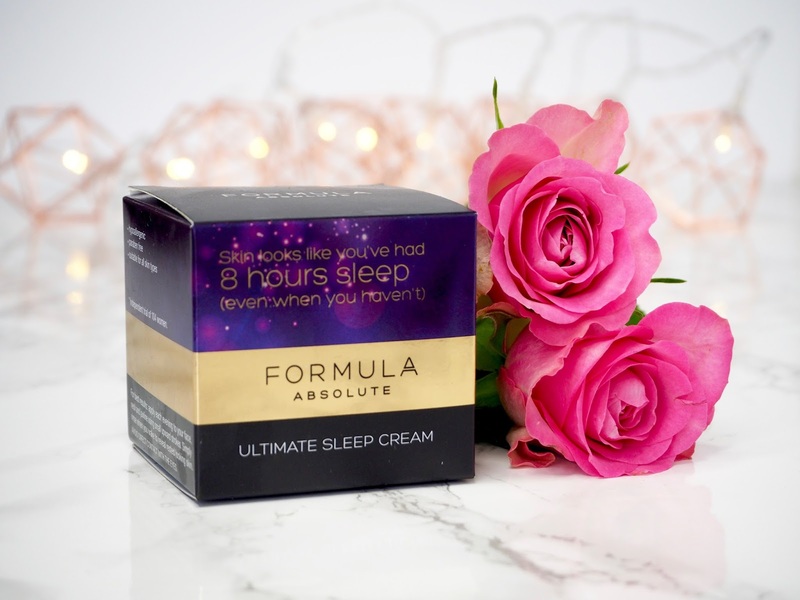 Over a few weeks using the sleep cream I've noticed that I'm getting a plumper look to my skin in the morning, less puffiness under the eyes and my dark circles seem to be reducing a bit too. My skin generally looks healthier and more even in tone, and it feels a little bit softer to the touch. 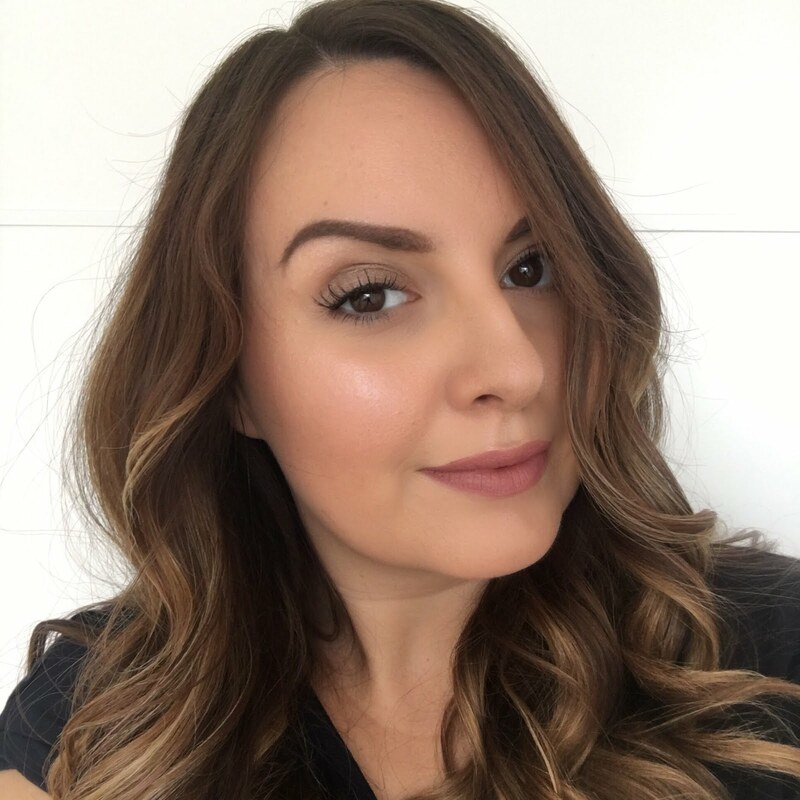 I couldn't be happier with the results, and am kicking myself that I didn't put more faith into M&S' own brand skincare before! I was told that there might be residue to wash off in the morning after using this product (again, it reminds me of a sleeping mask in that sense) - although I'd always cleanse my face in the morning anyway, I actually haven't noticed any of the cream left in the morning and I think this is because I have quite dehydrated skin which gobbles the product up over night! If you have a more 'normal' skin type then you might find there's some product left in the areas of your skin which aren't so dry. Marks and Spencer don't spend their budget on celebrity endorsements and big ad campaigns for their skincare - they plough resources into the research, science and ingredients and it's resulted in an amazing night cream which really lives up to its claims and only costs £22. Good work M&S! Marks and Spencer Formula Absolute Ultimate Sleep Cream is available now in store and online. I'm off to check out the rest of the range! 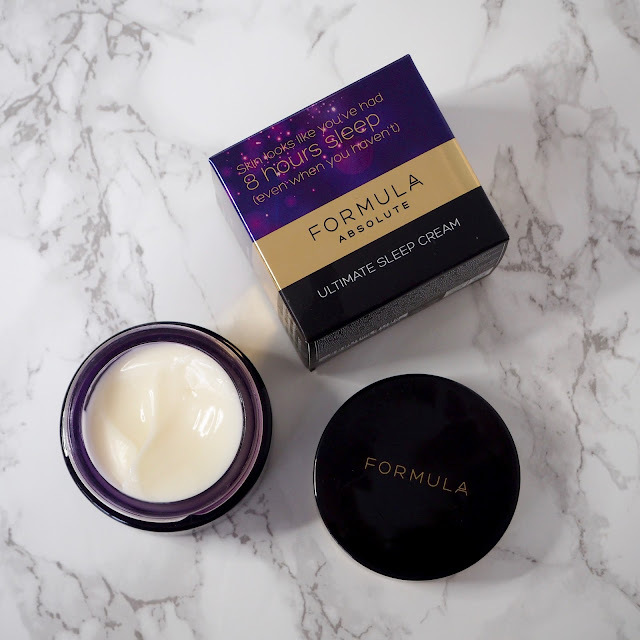 Have you tried any Marks and Spencer own brand skincare before? What did you think?